Other providers require you to download software or blindly send your data in. TrueDeceased puts you in control of the deceased suppression process. In as little as 10 minutes you will have the full report of the number of deceased suppression records identified by date. 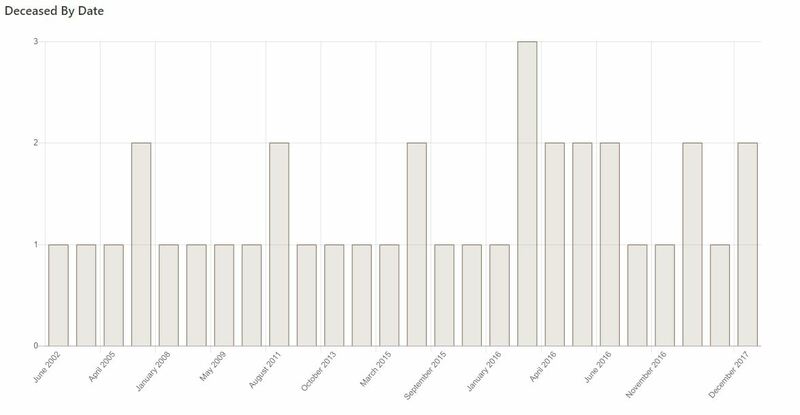 In addition to the deceased by date chart above, our complimentary TrueDeceased report includes details such as total number of deceased matches, file hygiene information, address types and match information. You can Process your file for free and instantly review the the total number of available suppressions with no obligation to purchase. Getting started is easy. 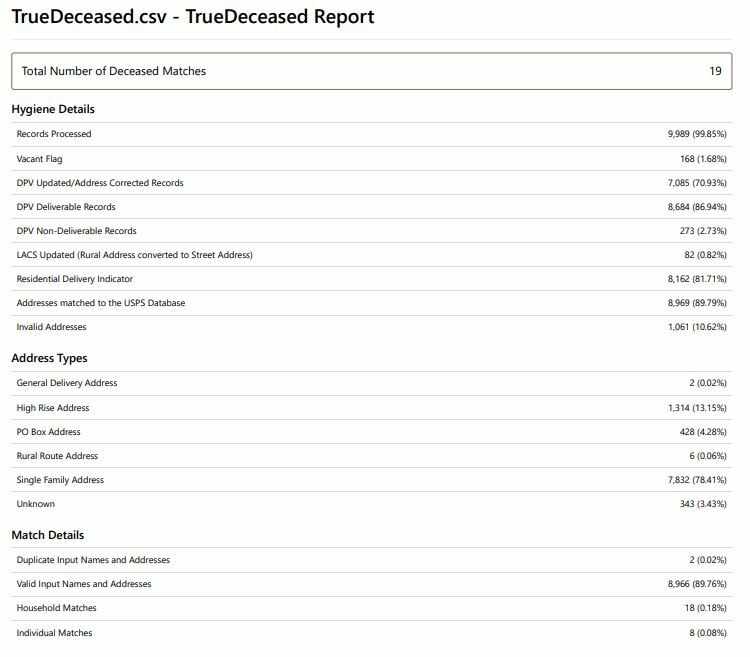 Register for a free account, upload/process your file, and instantly view our complimentary TrueDeceased report. If you would like to make a purchase after reviewing the total number of deceased matches and hygiene summary, your file is available for immediate download.